Our March 2018 Artifact of the Month is a circa 1905 Rawlings Sporting Goods Co. 1st. Generation Raincap Head Harness. This example possesses the distinct 3 leaf clover ear ventilation holes that Rawlings used on the first head harnesses the company manufactured between 1903 and 1910. 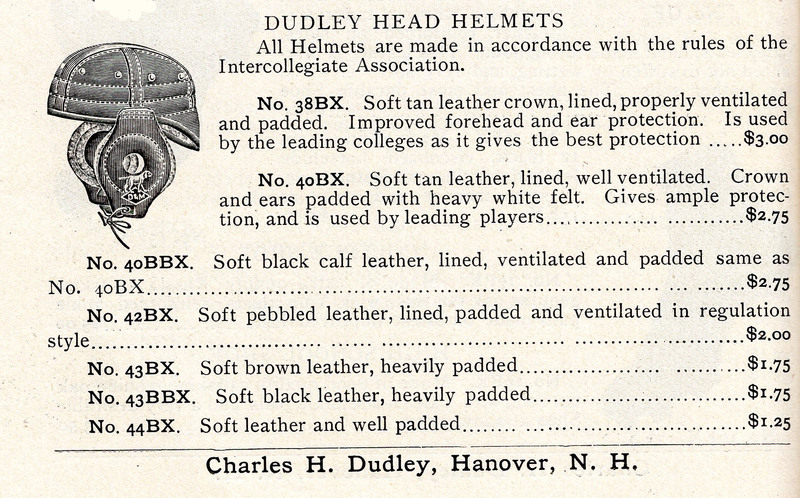 Similar in design to Rawlings' 1907 No. 80, this example was likely manufactured prior to 1907. Brothers George and Alfred Rawlings started Rawlings Brothers, a sporting goods retail store, on Pine Street in St. Louis, Missouri in 1887. In 1893, the store was destroyed by a gunpowder explosion and did not reopen. In 1897, George Rawlings and Charles Scudder founded Rawlings Sporting Goods, which primarily focused on the sale of hunting and fishing equipment. Unlike Rawlings Brothers also sought to become an athletic goods manufacturer rather than purely a retailer. Over the next 10 years, Rawlings would sell Victor and Stall & Dean athletic equipment along its own growing line of products. By the mid-1920's Rawlings Sporting Goods Co. was one of the largest sporting goods manufacturers in the country. The Raincap style football helmet refers to soft leather, canvas, or moleskin helmets with rounded crowns that could be folded in half easily. Countless variations of the raincap were sold over a 25 year period from 1898 - 1925. Raincaps typically possess independent ear flaps sewn onto the body of the harness, which is padded with cotton or wool. Raincap-styles are separated into two periods. 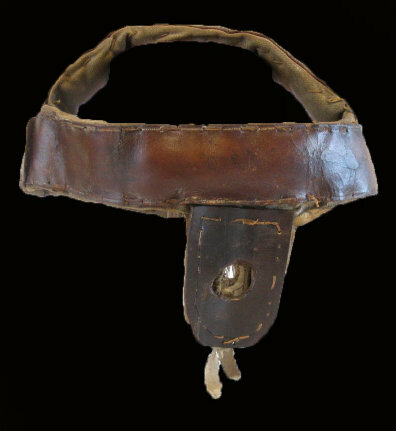 First generation raincaps lacked a rear neck protector, and were generally produced before 1906. Second generation raincaps include the rear neck protector and were produced after 1905.